"Adding the personal touch to your trip and ensuring the most memorable kitesurfing holiday...that is our ultimate goal!" KITE TRIBE CATERS TO EVERYONE! Looking for an action packed, fun-filled holiday on the Red Sea? Men, women, beginners or advanced kitesurfers, solo travellers or groups can all be sure that we will make your experience in El Gouna an unforgettable one. The backdrop for a fabulous kitesurfing holiday. Not only are the conditions excellent for all levels of kitesurfers, the town itself has a lot to offer in terms of sports, no wind activities and nightlife. Kite Tribe Events all inclusive week-long kitesurfing holidays, and Kite Tribe private or partner training , for men and women alike. Whether you join an event or take private lessons, our years of living in El Gouna ensure that you will have an amazing holiday. Learn in a comfortable environment with brand new equipment and maximum 2 students per instructor. This ensures you get the most out of your lessons! 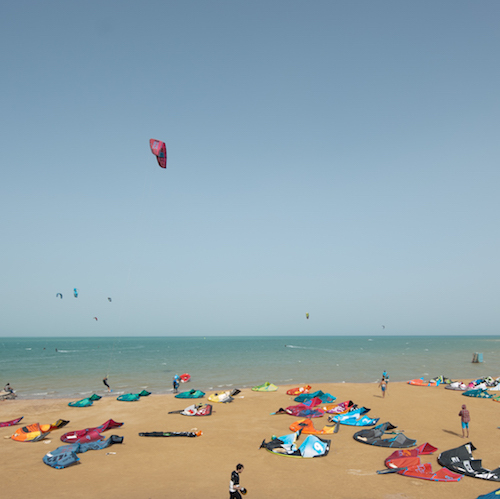 Our Kitesurfing Event week aims to bring together like-minded individuals or groups from around the world to the shores of El Gouna, to learn kitesurfing or build on their previous skills. A unique town on the Red Sea, El Gouna is only half an hour's drive from Hurghada International Airport. Over the last few years it has become a mecca for kitesurfing and other water sports. A safe seaside location with year-round good weather, El Gouna is the perfect destination for active holiday-makers who love the sea and sunshine! 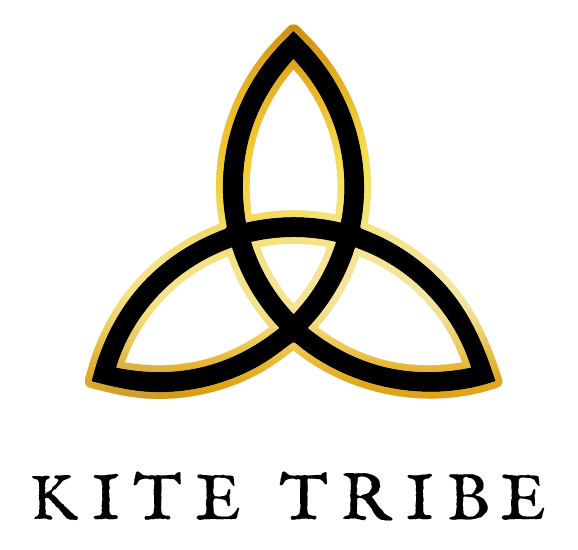 The wind flows direction North-North West. The water in the lagoon is really warm in the summer, but can get cold in the winter. Temperatures in Egypt can reach high 30s in the summer, and pleasant low 20s in the winter. The wind is more consistent in the warmer months and tends to be less stable from December through to February. 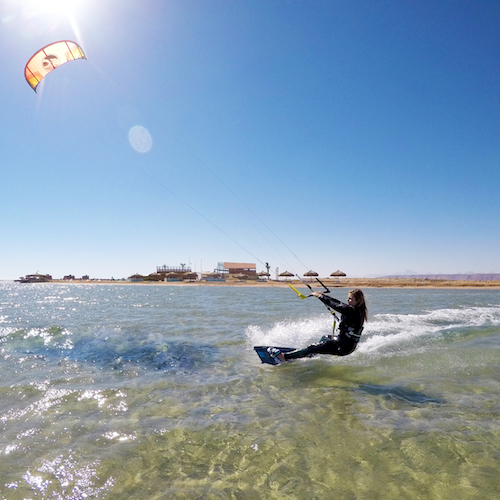 The kite spots in El Gouna are all shallow, making it easy to stand in all areas. Advanced riders can also kite in the deep water. The tides tend to be higher in the winter, especially during full moon, and lower in the summer. The kite station is complete with a launching and landing area, rescue boat, beach boys to assist on land, compressors to pump the kites, showers, toilets and a washing area for equipment, as well as a fully functional restaurant and bar. There is storage for those who have their own equipment.